“My Surface would be perfect if only … ” Have you ever thought that to yourself? Here are a few accessories that smooth out the spots that keep your Surface from being your favorite computer. Your Surface came with a power adapter, so it isn’t really an accessory. But if you’re traveling with your Surface, it’s essential that you tote this along. Your Surface generously offers you several options, but the most versatile replacement is either a Touch or Type Cover keyboard. Custom-made for the Surface, the keyboard snaps into place, and folds down for typing. When you’re done typing, the keyboard folds up to double as a screen protector. Lightweight and durable, either keyboard is a natural fit for your Surface. Any Bluetooth keyboard also works with your Surface, including the Microsoft Wedge Mobile Keyboard. Portable Bluetooth keyboards are rarely bigger or better than the Touch or Type Cover keyboards, however. If you own a large music or video collection, a memory card is essential. A 64GB microSDXC memory card, costing less than $50, can store thousands of songs or photos, and dozens of movies. If your Surface leaves you cramped for space, by all means, buy a memory card and slip it into your Surface’s memory card slot. Your Surface should recognize it immediately. It’s one of the cheapest and easiest updates. When you’re ready for serious computing work, you probably want a real mouse. Thankfully, the Surface offers several options. If space isn’t a concern, just toss your favorite desktop mouse into your bag. Plug the mouse into your Surface’s USB port, and you’re set. If you are a minimalist, you may prefer the Wedge Touch mouse. Granted, it’s miniscule, but it’s convenient and responsive. Microsoft released Surface-branded versions of the Wedge and Arc mice. The new Surface Wedge Touch mouse simply has black sides rather than chrome, so there’s little gain there. The Surface Arc Touch mouse, though, brings an improvement: It works directly with Bluetooth, and you no longer need to tote around the Arc Touch mouse’s little Bluetooth nub that consumed the USB port. Your Surface’s built-in, full-size USB port gives it a burst of utility unmatched by all other tablets, including those from Apple and Android. The only problem is that there’s only one. The solution is a portable USB hub. Small and inexpensive, the hub is a tiny box that plugs into your lone USB port. In exchange, the box contains four or more USB ports for plugging in other gadgets. If you’re using a Surface RT or you’re not particularly concerned with transferring files at high speeds, pick up an inexpensive USB 2.0 hub. 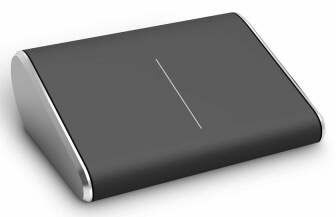 If you’ll be transferring large files through the hub, buy a slightly more expensive USB 3.0 hub. You don’t need a powered hub unless you plan to run on plugging in particularly power-hungry accessories. It’s not hard to find a case that fits your Surface because it fits into nearly any case sold for laptops. 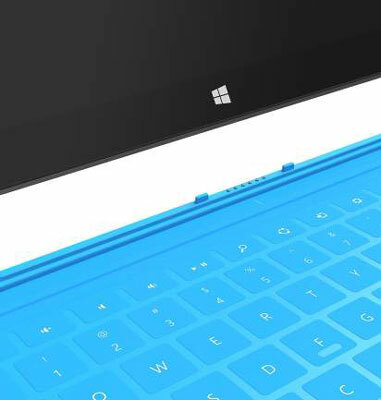 Your Surface is thinner than nearly all laptops, so don’t worry about the thickness as much as the other dimensions. When shopping for a case, make sure its dimensions are at least 11 inches by 7 inches. A case that size will fit any Surface model. If you need just a little bit more storage, a flash drive fits the bill. 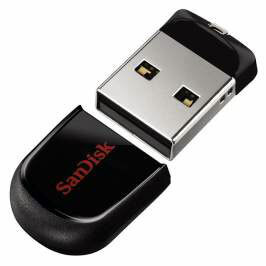 A flash drive, is like a miniature hard drive that plugs into your Surface’s USB port. Because it’s detachable, it’s an easy way to transfer files between your Surface and other computers. A 32GB portable flash drive should handle most needs, but they’re available in sizes up to 256GB. To watch your Surface’s movies on your HDTV, pick up a portable HDMI cable. By connecting the cable between your Surface and your TV, everything you see on your Surface can fill the room with HDTV glory. 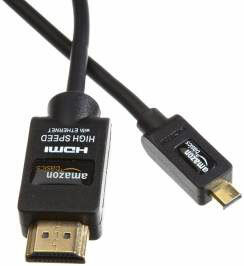 When shopping for an HDMI cable for a Surface RT or Surface 2, buy a micro-HDMI-to-HDMI cable. For a Surface Pro or Surface Pro 2, buy a Mini DisplayPort-to-HDMI cable. Even if you never plan to connect your Surface to a TV, these cables also work for connecting your Surface to an external monitor or some digital projectors. Wired Internet access — piped in through an Ethernet cable — comes in handy for several reasons. If you can relate to any of these categories, just about any USB-to-Ethernet adapter works on the Surface Pro or Surface Pro 2. Some adapters also work on the Surface RT and Surface 2 if you’re willing to jump through hoops to make it work. People who need this usually know who they are. They want to carry everything with them: all of their movies, photos, books, and songs. If you want all of your materials around you for access any time, you need a portable hard drive. People who shoot high-definition video and need to backup or process their footage on a Surface Pro or Pro 2 definitely want one of these. Look for a USB 3.0 drive to take advantage of the USB 3.0 speeds of your Surface Pro and Surface Pro 2. That extra speed makes all the difference when moving large files. 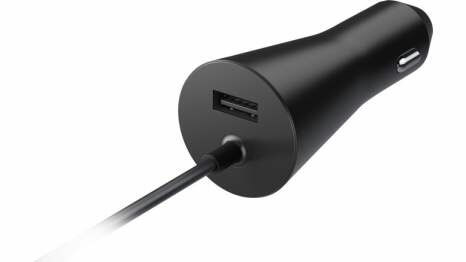 The car charger is essential if you’re using your Surface on the road for work and can’t deal with any down time. Microsoft’s portable car charger can charge your Surface while you’re stuck in traffic, so you’re ready for work whenever you arrive. As a bonus, the charger includes a USB charging port on the back, so you can simultaneously charge your phone.